Washington C.H. was named a 2017 Tree City USA by the Arbor Day Foundation in honor of the community’s commitment to effective urban forest management. The community also received a Tree City USA Growth Award for demonstrating environmental improvement and a high level of tree care. 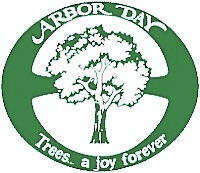 The Tree City USA program is sponsored by the Arbor Day Foundation, in partnership with the U. S. Forest Service and the National Association of State Foresters. Locally, Don Creamer, George Shoemaker, Brenda Caudill, Marlene Rankin, Ted Hawk, Tom Pieratt, Jim Merkowitz, Kelley Ford and Joe Denen make the tree program possible. Trees help to improve the visual appeal of a neighborhood, increase property values, reduce home cooling costs, remove air pollution and provide wildlife habitat, among other benefits. There are many benefits of the program. The first is reduction of costs for energy, stormwater management, and erosion control as trees yield three to five times their cost in overall benefits to the city. The program also helps to cut energy consumption by up to 25 percent according to studies that indicate that as few as three additional trees planted around each building in the United States could save $2 billion annually in energy costs. Additionally, it helps to boost property values across the community with properly placed trees increasing property values from 7 to 20 percent and buildings in wooded areas renting more quickly with tenants staying longer. Finally, the program has helped to build stronger ties to neighborhoods and communities with trees and green spaces, showing a direct correlation to greater connections to neighbors. The information in this article was provided by Washington Court House City Manager Joe Denen.